One of the nicest things about a small town is the way people can get to know their neighbors and become close friends, simply by spending time together in shared activities and pursuits. 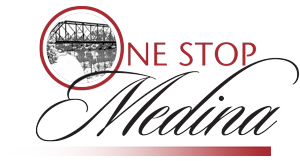 Whether you're a history buff or someone devoted to service and charity work, Medina's got something for all. Best yet, Medina's community organizations all have welcoming open-door policies. Each is happy to have newcomers join their ranks. Don't see your Community Organization listed here? Please, contact us and let us know. We'll happily add the information.